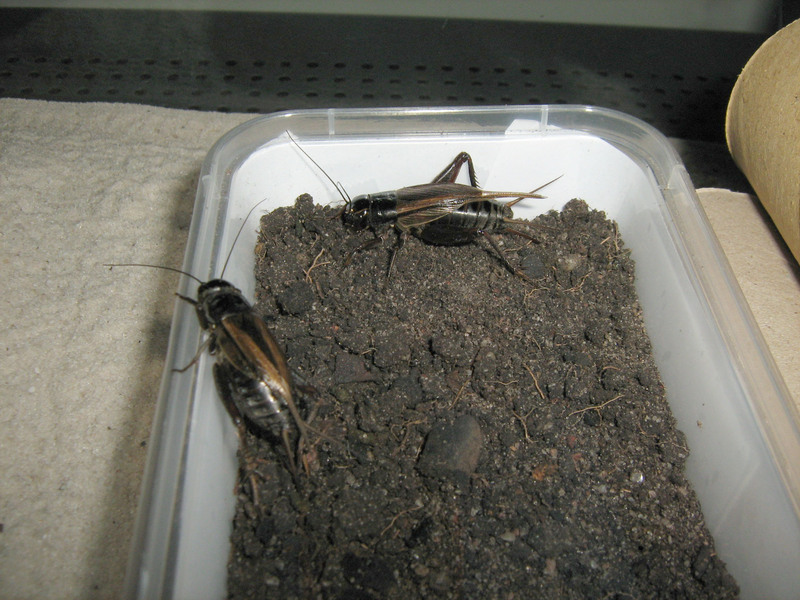 Today, I’ll be introducing you to the humble black field cricket. They can make great alternative pets for those of you who aren’t allowed to keep cats at home, and are easy to maintain. Plus, they’re such cute little critters. Just look at those loving beady eyes. 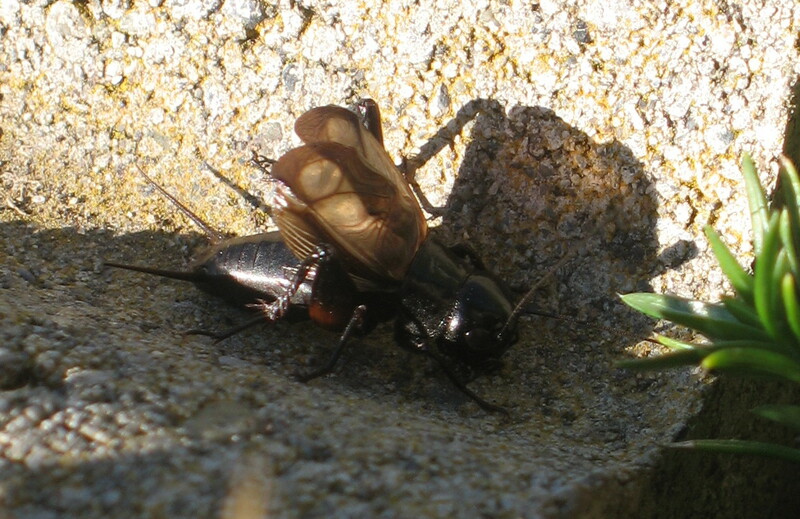 Firstly, I have to clarify that I am referring to the Black Field Cricket (Teleogryllus commodus). 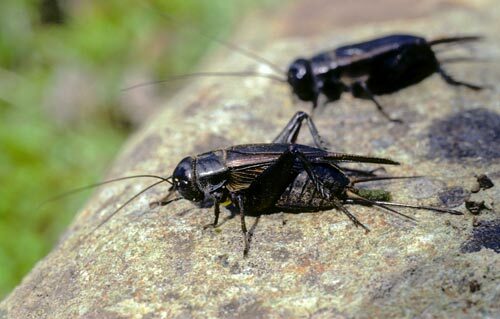 These are the larger, more solid looking, wild type crickets you might find in your backyard. They are not to be confused with the lighter brown coloured, less hardy species of house cricket which you can buy at pet stores. See the difference? The reason I mention this is because the house cricket is much less hardy than the wild variety, and I have found that they often die quickly or are susceptible to infectious disease. 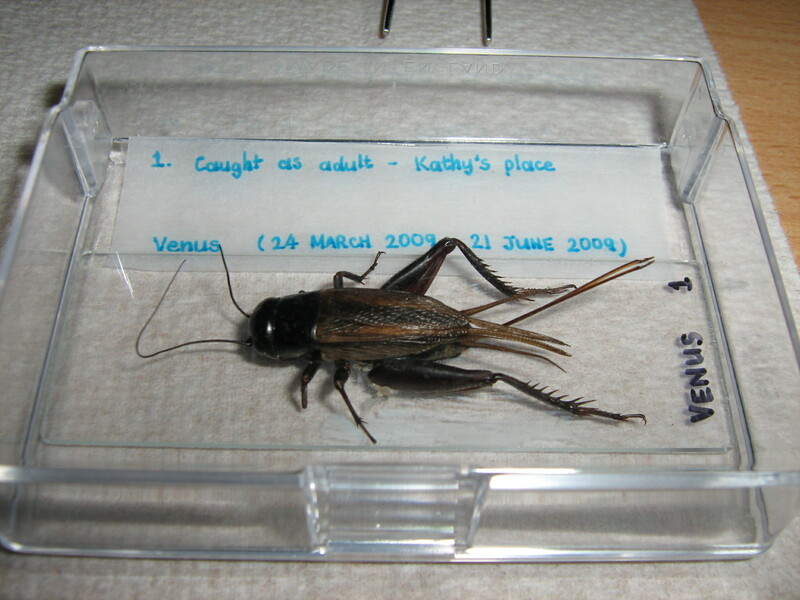 The wild black field cricket is much tougher and an adult held in captivity can easily live for more than 3 months. They can also live quite peacefully with other companion insects such as woodlice and millipedes. You can see that a cricket has antennae, mouthparts, wings, long hind legs and a set of spikes at the rear. The number of spikes you see on the end of a cricket is critically important, since this determines whether it is male or female. Two short spikes is a male, while three spikes (two short and one very long) means it is female. 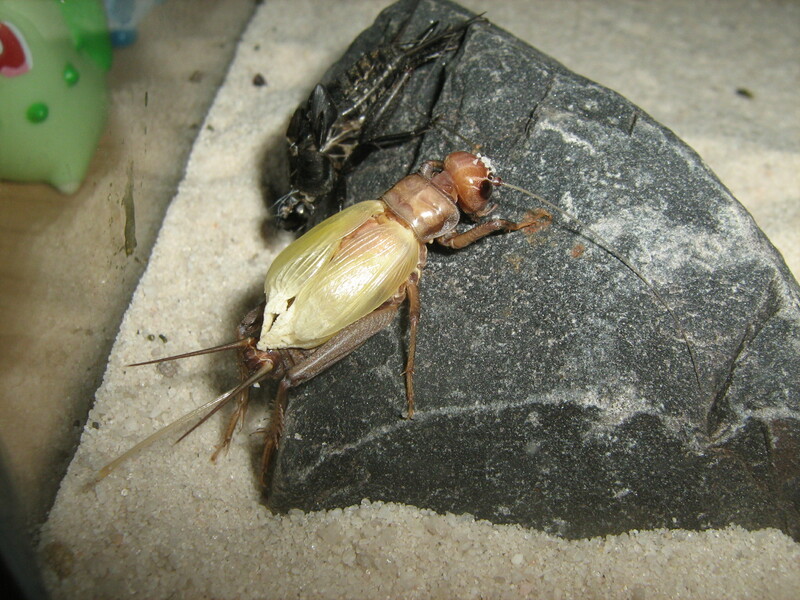 The long spike on the female cricket is an egg-laying tube. These spikes are not stings and cannot hurt you. With this in mind, you probably want to keep female crickets over males if you like peace and quiet. Otherwise, having many males can be rowdy and you will be tormented by incessant chirping. The males will also fight amongst themselves, which will shorten their lifespan. Occasionally you may also find a large female cricket which will show aggression towards males and toss them around with her jaws. Keeping just one male is advised. In males, the two wings are rubbed together in order to make the chirping noise that drives you insane on summer nights. Some say that these wings allow crickets to fly, but I swear to Dragonite that I have never seen a cricket fly in my entire life. They jump quite powerfully using their hind legs, and perhaps sometimes they use their wings to help cover more distance, but they certainly can’t just flap their wings and fly into the air like a butterfly would. 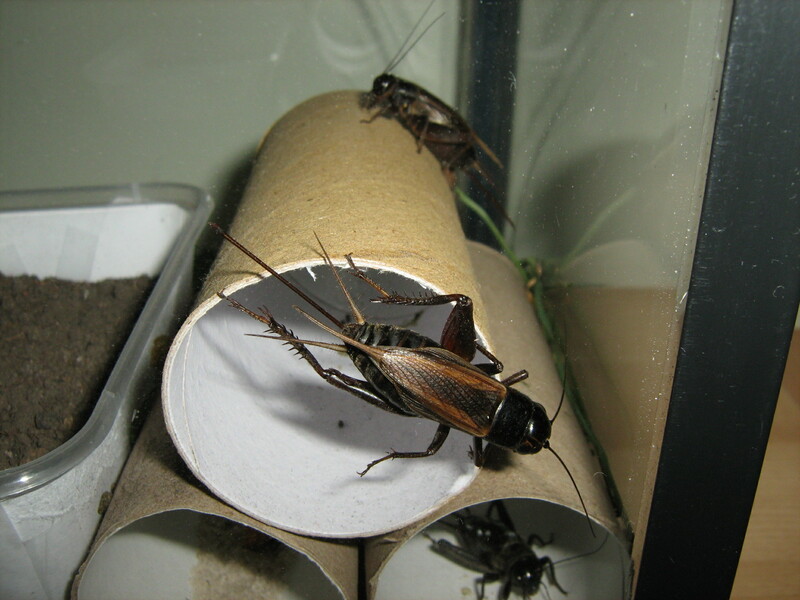 The most difficult part involved in keeping crickets is catching them. 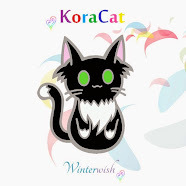 They can be quite elusive and only ever come out at night or dawn. 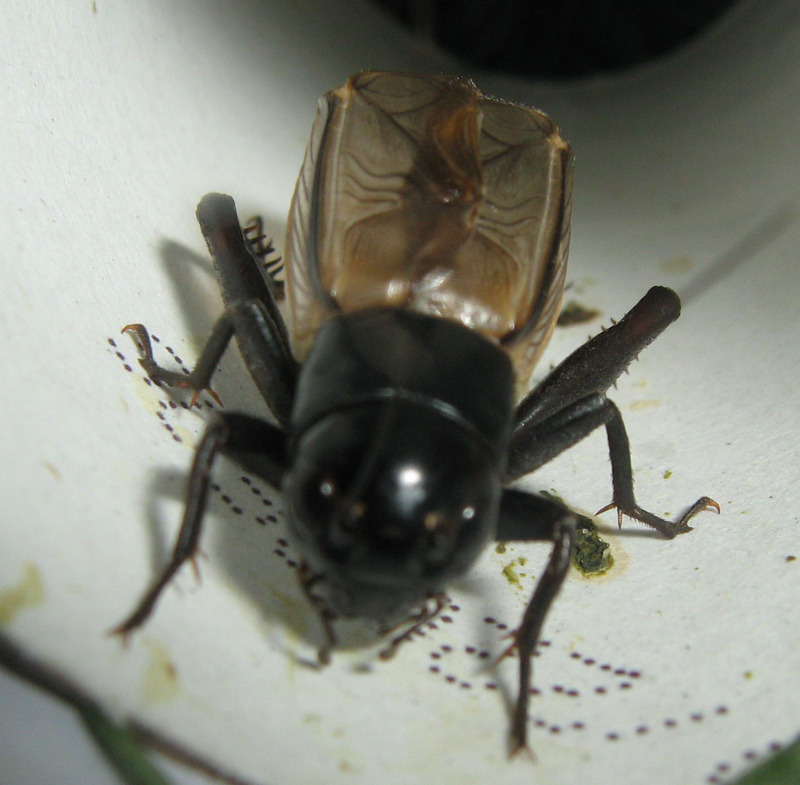 You should look around at night in areas where there is excessive cricket chirping. Often you can find them in concrete cracks or hiding under bricks where there is rich soil. Optimal conditions for cricket hunting are on warm nights with light rain, since the rainfall will force them out of their burrows. On a night like this, all you have to do is walk around with a flashlight and pluck the exposed crickets off the grass. 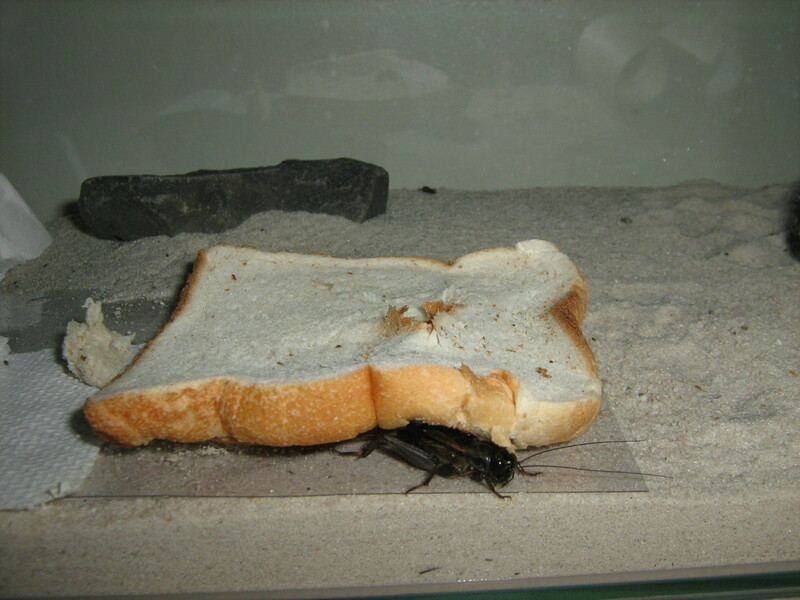 Crickets are also attracted to both bread and light, so you will be able to lure them out with food or some may jump into your torch beam. 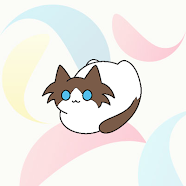 You can also set traps by sprinkling sugar onto some bread and placing it underneath a brick or in a box where there is rich soil. Be aware that you may attract other creatures into your trap, such as frogs or rodents. 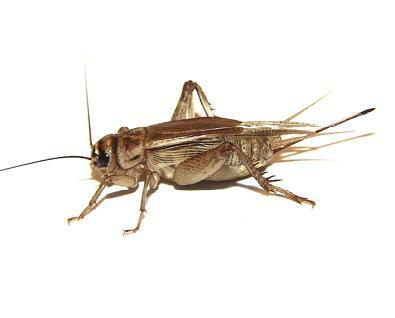 The easiest way to collect them is to place your hand into a sandwich bag and pick up the crickets with your fingers. Be careful not to cause damage to them in the process. A bigger cage with proper ventilation holes is preferred, but any container with good air circulation is fine. 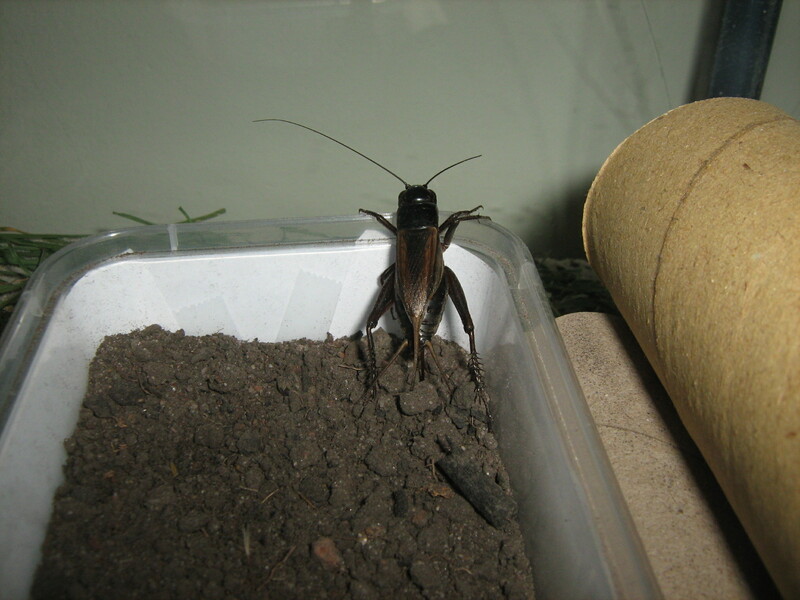 Crickets don’t seem to be bothered much by small spaces, although they enjoy having the option to run about. A proper clear plastic or glass aquarium is ideal. A plastic enclosure will be easier to clean out. 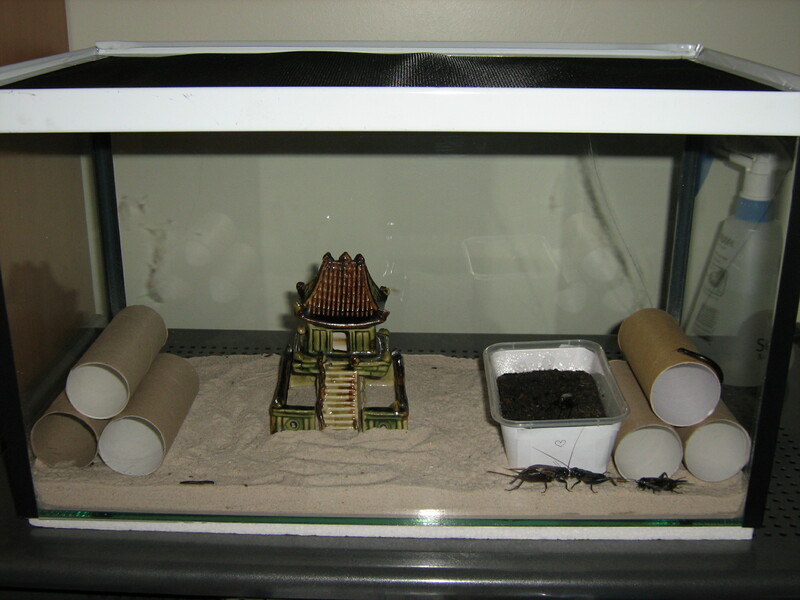 You will need to provide something to hide in and line the bottom of the cage with soil or sand. Some toilet paper cones or a piece of cardboard folded into a triangle will do fine. 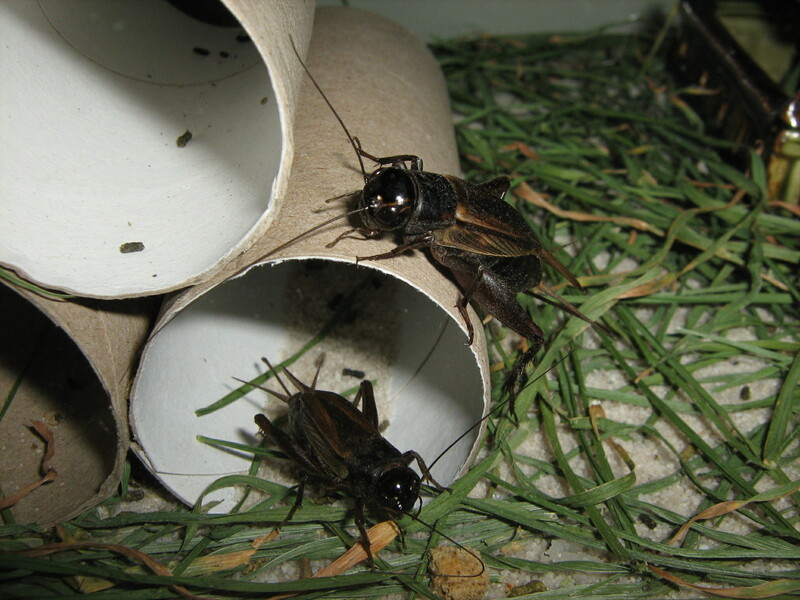 Egg cartons are also a good choice, although you won’t be able to see your resting crickets as easily. 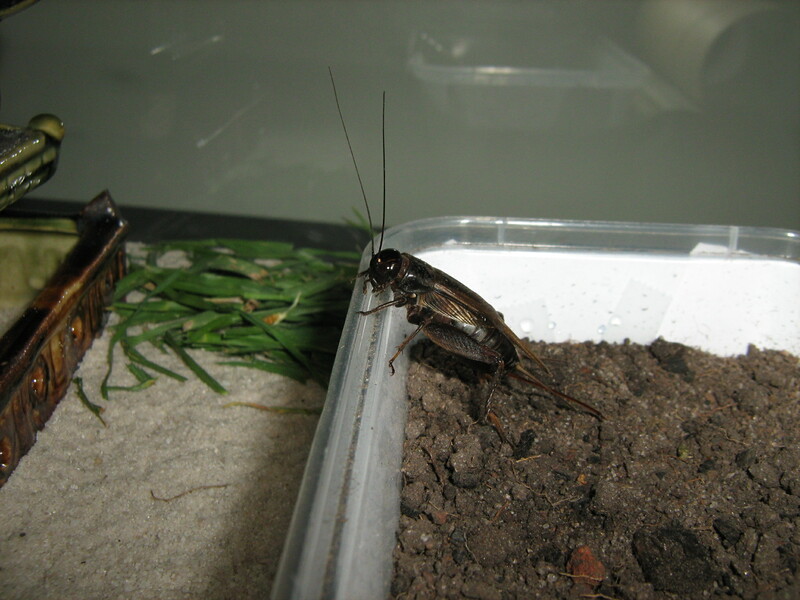 Soil is the easiest option for the crickets to move around on, and you can also plant grass in it. 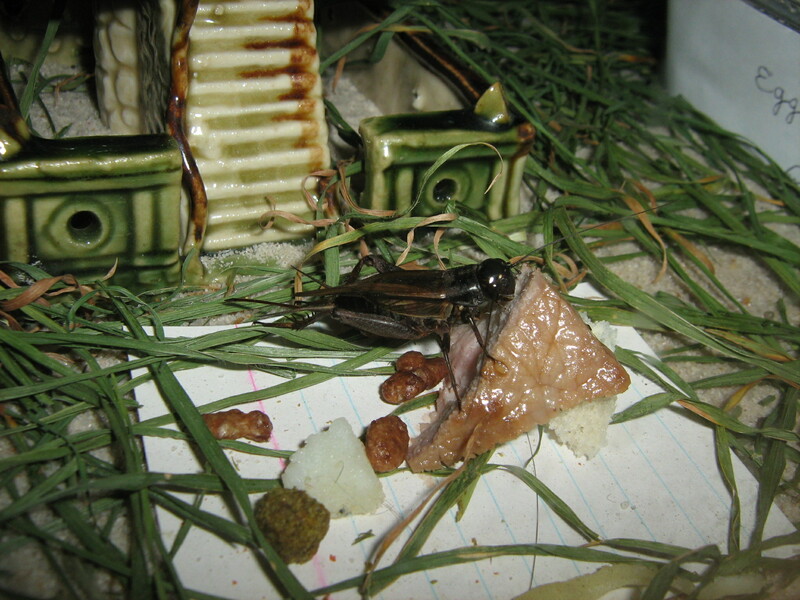 Crickets will eat almost anything. Your dinner steaks, cat food, paper, and even each other. Carrot, rice, bread, potato and grass are all common foods they enjoy. Remove all uneaten food before rotting and mould set in. 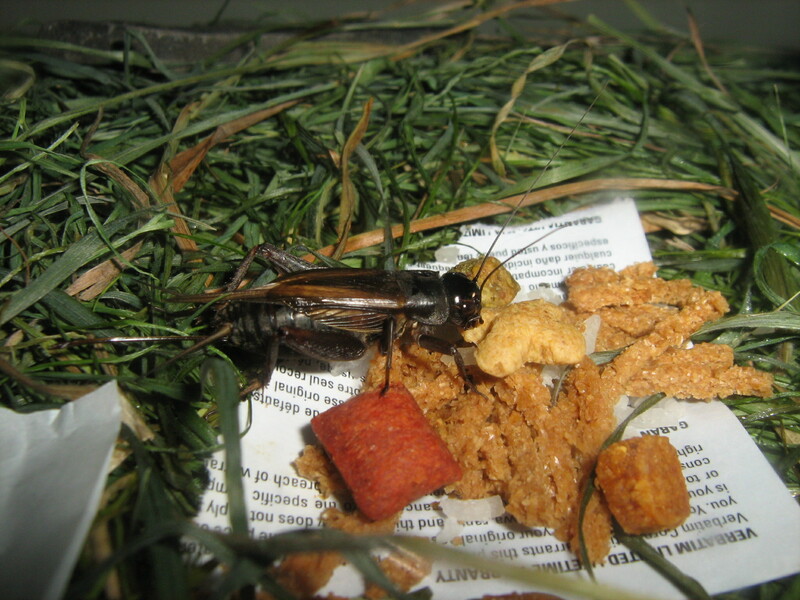 If you do not provide enough food and no hiding areas, your crickets may eat each other. 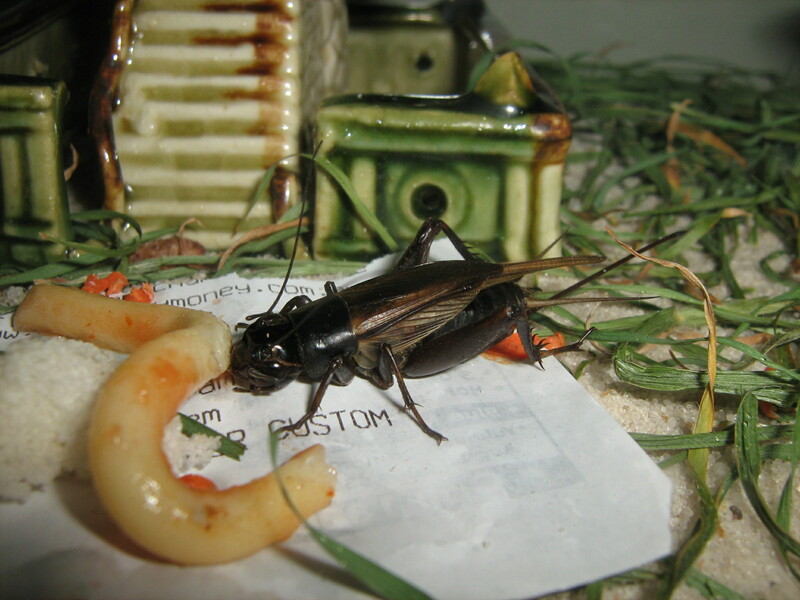 You might also find that dominant crickets will eat weakened or dying companions. 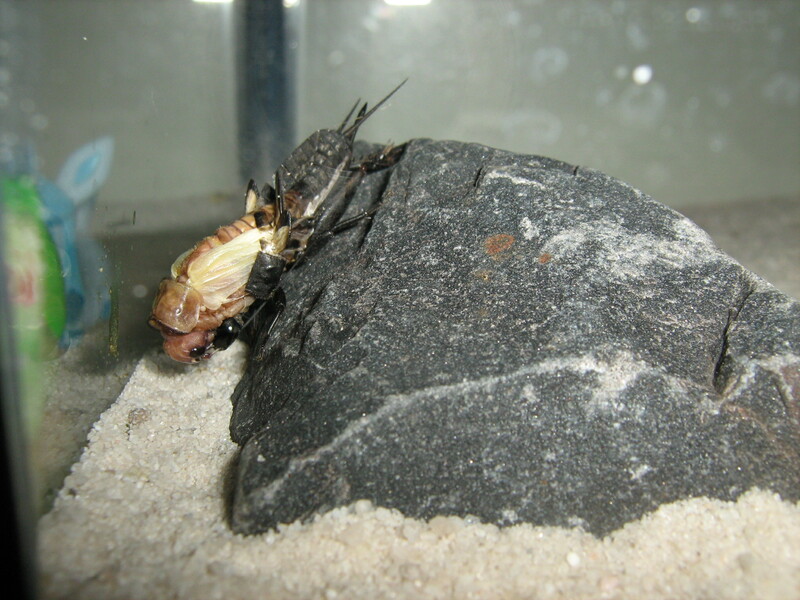 Don’t cry if this happens, it’s all part of the great circle of crickets. 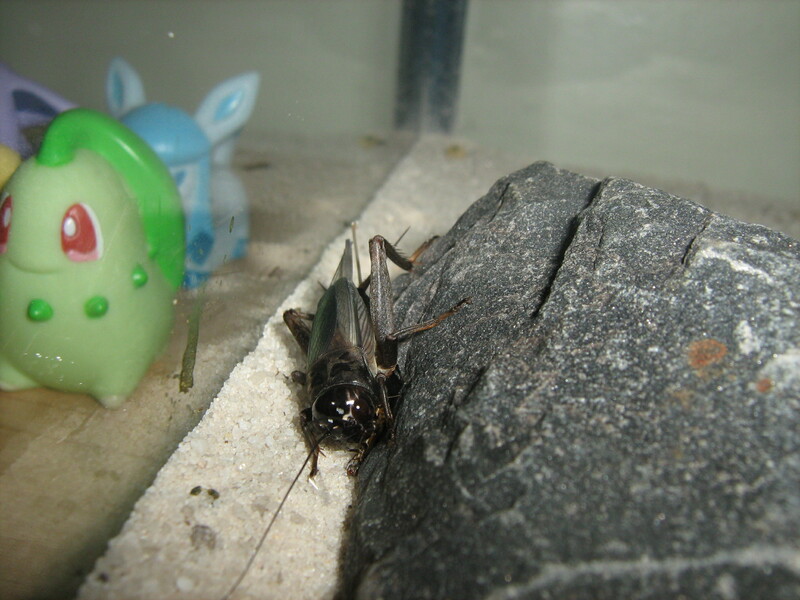 Most crickets are able to get their water from the foods they eat, but you can also give them a source of water. It is not a good idea to leave water in a small dish, as this encourages drowning. It would be wiser to soak a small piece of sponge or cotton bud in water instead. 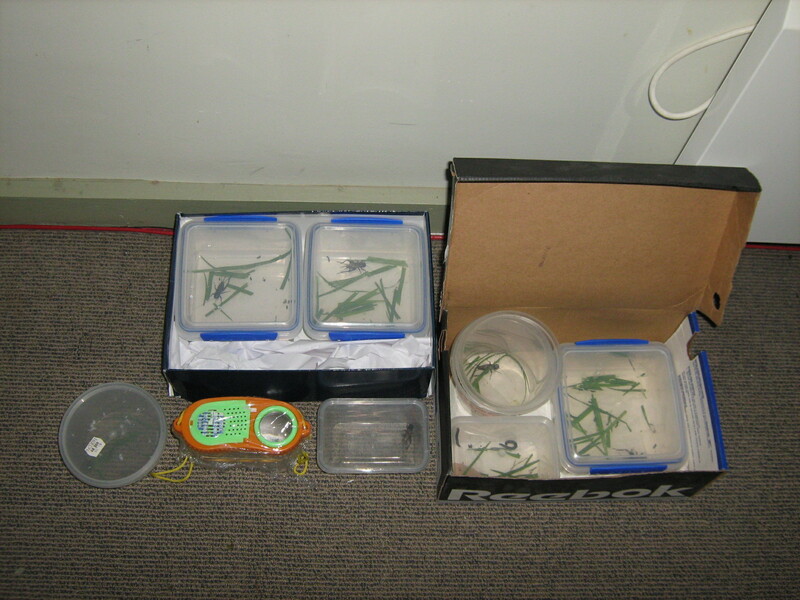 You can also flick water droplets onto the sides of the cage or use a spray bottle, but be wary of mould growth. 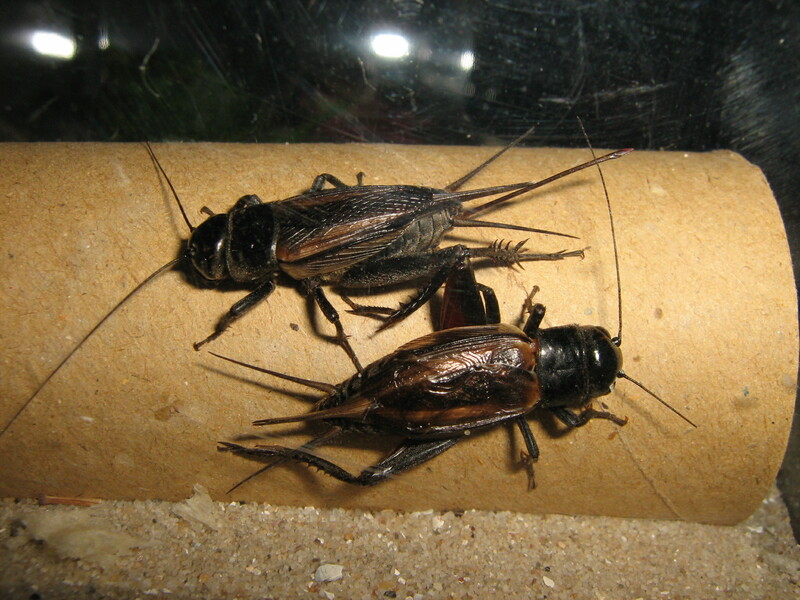 You will find that female crickets can lay eggs by pushing their ovipositors into deeper soil. You can provide them with a special box filled with moist soil or cotton buds especially for egg laying. To hatch the eggs you will need to keep them moist and heat them to the correct temperature using a heat source. 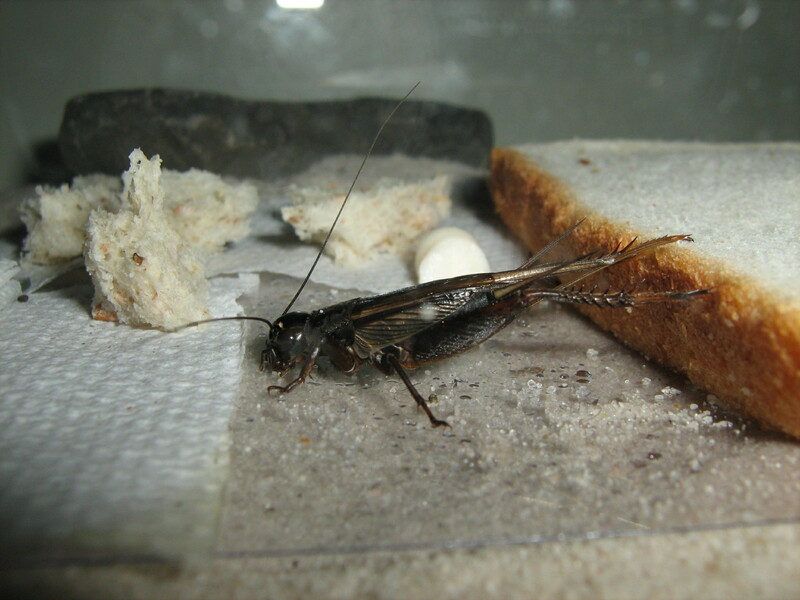 Some cricket eggs need to experience a cold period before they can hatch, so this can be difficult. Alternatively, you can just bury the eggs in your yard and hope they eventually hatch on their own. Female crickets will not lay eggs if you do not give them somewhere suitable to do so. 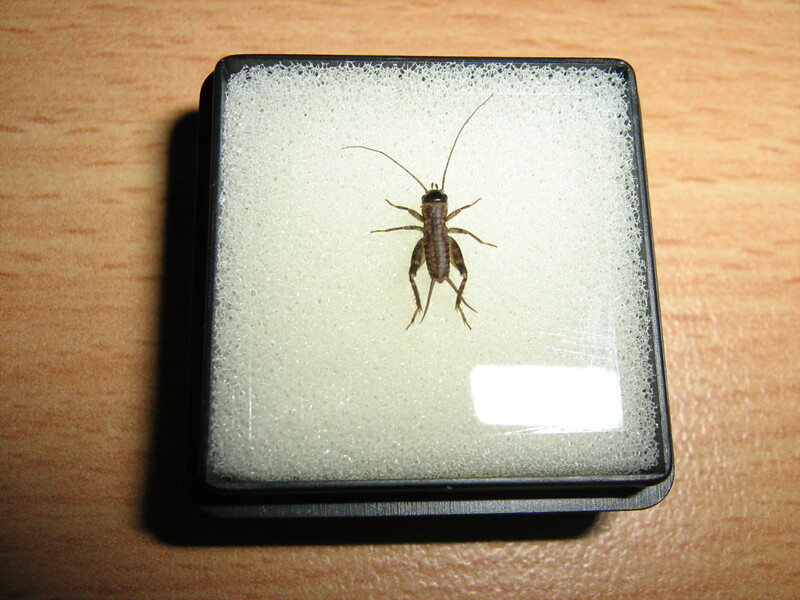 If you are lucky, you may have a younger cricket that had not yet reached the adult stage. At some point, it will outgrow the existing exoskeleton and leave the old skin behind. 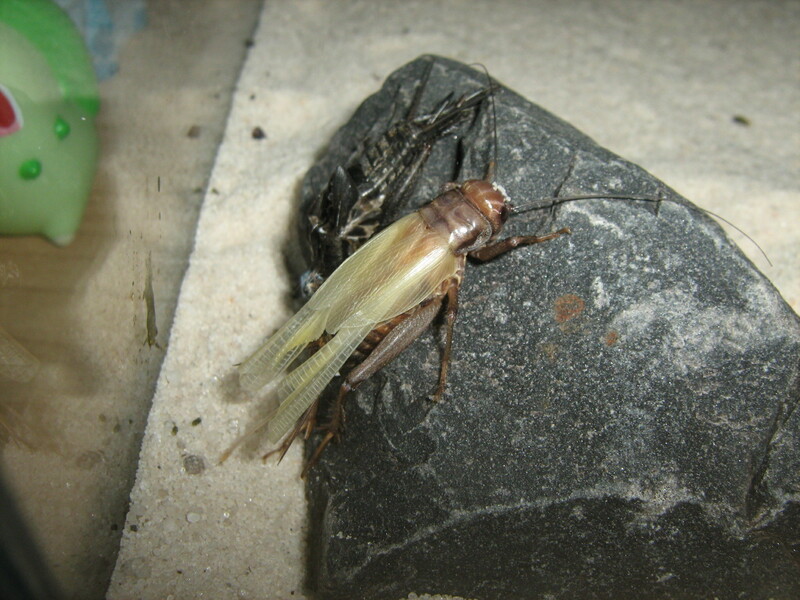 Crickets often eat their moulted skins though, so there is no evidence of this change. The new outer skin will harden with time to become glossy and black.